Welcome to the online home of Gem State Realty. Our professional real estate agents have extensive knowledge of the Twin Falls Idaho real estate market, and the real estate experience necessary to make your home ownership dreams come to life. Gem State Realty has been in business since 1957; we know Twin Falls real estate, and we love its culture and its people! 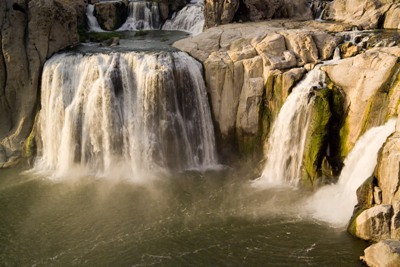 Twin Falls Idaho is home to the Shoshone Falls, the Snake River Canyon and the Sawtooth National Forest. With major corporations such as ConAgra Foods, Chobani Yogurt and Glanbia Cheese located in Twin Falls, the region also benefits from a dynamic and diverse economy. Educational opportunities, health care services and continued job growth all make the Twin Falls Idaho Real Estate market more desirable than ever before. You can search our featured listings and all homes for sale in Twin Falls and surrounding towns such as Jerome, Hagerman, Gooding and Filer, on our site. We have buyer and seller resources, free consultations, home evaluations and affiliates that can help you with your borrowing needs. If you cannot find the information that you’re looking for on our website, please e-mail or call us. We will be sure to provide you with the answer you are looking for about the Twin Falls Idaho Real Estate market. 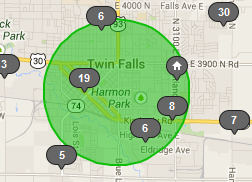 The Twin Falls Real Estate market presents buyers with plenty of exciting options. The region is perfect for those who want to enjoy the beauty of Idaho's Magic Valley, including the Shoshone Falls and Snake River Canyon. At the same time, there are plenty of employment opportunities as economic development is a top priority in this region. Major employers in the area include Chobani Yogurt, ConAgra Foods, the Amalgamated Sugar Company and Glanbia Cheese. The median household income was about $44,320 in 2018, and the average sold price of a home in Twin Falls was $229,800 in 2018 vs. $206,108 in 2017 and $176,718 in 2016. Buyers looking at Twin Falls Idaho Real Estate find this dynamic metropolitan community to be an attractive place to call home. The 2018 Twin Falls real estate market was a strong year with average prices up by 6.25% over 2017. As already mentioned the average homes sale prices for Twin Falls was $229,800 in 2018 vs $206,108 in 2017. We have now seen almost 36 months of housing price growth. Not surprisingly, with economic growth comes increasing demand. The average days on market fell from 60 days in 2017 to 53 days in 2018. The current average level of home supply is at 2.12 months which is consistent with a robust housing market that has seen almost 24 months of consecutive increases in home prices. As we go into 2019 the national forecast from the experts is mixed with some saying demand will cool due to slower than expected population growth and excess inventory and others maintaining that 2019 will continue to be strong and that excess inventory will be snapped up given pent up demand. We do not have a crystal ball, but on balance we see a steady market through 2019. Competition for the most affordable housing range of prices between $100-200,000 is higher and as a result, the monthly Inventory and supply for homes was well below the average (by almost 45%) for Twin Falls at 1.1-1.4 months. Be prepared to move quickly if you are a buyer in these price ranges. A good tip is to have your financing in place, so that if you do find the place of your dreams, you can move quickly which will increase your odds of success. You also have to price your offer carefully in this market, to ensure quick acceptance of your dream home or make multiple offers on different homes at the same time. Our expert real estate agents specialise in Twin Falls and surrounding areas including Hagerman, Filer, Gooding, Jerome, Kimberly and Nampa. 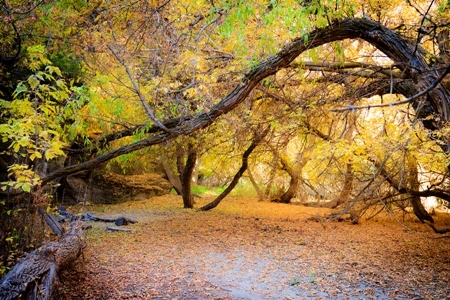 Our agents call this same community home, and have spent years getting to know the area and all that it has to offer. At Gem State Realty, we strive to provide you with the information and resources you need to make the best decision when it comes to purchasing Twin Falls real estate. If you are a first time home buyer hoping to settle in an exciting community with plenty of potential, take a look at our Twin Falls Idaho real estate listings. On the other hand, if you and your partner are starting your golden years adventure and want to live in an area with scenic views but quiet nights, we might recommend the quiet town of Hagerman. Now is an exciting time to participate in the Twin Falls Idaho real estate market. Home prices continue to rise, and many buyers are finding homes available in this area for between $160,000 and $210,000. Home styles range from simple ranches on modest city lots, to luxurious homes on several acres of western land. We can help our clients find the home of their dreams, whether that is an existing piece of residential property or a new construction home. Our agents have experience working with foreclosure sales, short sales, HUD homes, corporate homes and privately-owned homes. If you are looking for a home, further out, in Boise, be sure to call us and we can put you in contact with our agents in Boise. At Gem State Realty, we recognize that buying and selling a home is one of life's major decisions. We are here to assist you with the process, and ensure that your transaction is completed smoothly, easily and successfully. 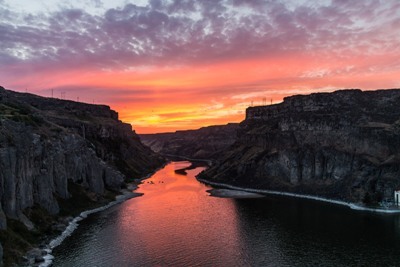 There aren't many places in the world as beautiful as Twin Falls and the surrounding region, which makes it easy to invest in Twin Falls Idaho real estate. For more information on Twin Falls real estate and to start seeing available homes today, don't hesitate to contact our office today. Call us at 800-455-1180. We look forward to speaking with you! Listing information last updated on April 24th, 2019 at 12:22pm MDT.